So I totally managed to forget today was The Listing Hop blogfest. Guess that's what happens when you try to juggle work, school and some form of a social media presence. The blogfest is being hosted by Bish Denham and Alex J. Cavanaugh, in commemoration of her eighth year of blogging, and participants are expected to come up with a list of, well, anything really. 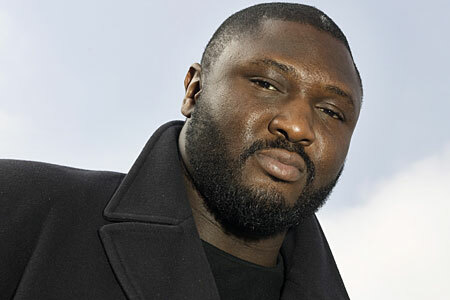 Born in the UK in 1979, Nonso Anozie is perhaps best known for his supporting roles. One of his first major movie appearances was in the 2007 British war drama, Atonement. He subsequently starred in the 2011 films, Conan the Barbarian and The Grey. His recent appearances include Pan, Cinderella, and the popular TV show, Game of Thrones. Another Game of Thrones alum, Adewale Akinnuoye-Agbaje is the oldest, at 48, of the 5 Nigerian actors I am highlighting on this list. He has been in movies as varied as The Bourne Identity, The Mummy Returns, and Ace Ventura: When Nature Calls. His recent appearances include Pompeii, Thor: The Dark World, and the upcoming DC Comics adaptation, Suicide Squad. 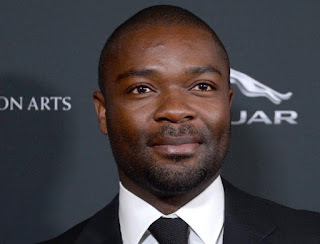 David Oyelowo is yet another Nigerian actor that has been quite ubiquitous in recent years. And he's got the acting chops to warrant it too; in what was perhaps one of the biggest snobs of the 2015 Academy Awards, he was not given a Best Actor nod for his portrayal of Martin Luther King Jnr. in the biopic, Selma. His other recent appearances include Interstellar, The Butler, Lincoln, and 2011's Rise of the Planet of the Apes. Chiwetel Ejiofor is no stranger to the silver screen. One of his earliest performances was in the Steven Spielberg movie, Amistad. He was also part of the ensemble cast that starred in the 2003 romantic comedy, Love Actually. He also starred in one of my favorite science fiction movies, Children of Men. His recent appearances include The Martian, Salt, and the Academy Award Best Picture recipient, 12 Years a Slave. 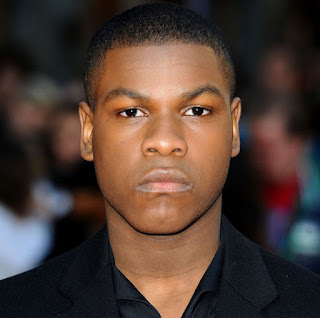 Of all the actors on my list, John Boyega is the one with the least number of acting roles under his belt. He also happens to be the youngest at 23. So why have I placed him at number one on my list? Two words: Star Wars. After all, not many actors today can boast of a leading role in one of the biggest film franchises of all time. He scored his breakout role in the 2011 British science-fiction film, Attack the Block. 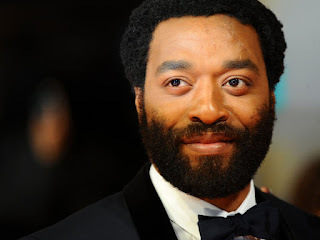 He also appeared alongside Chiwetel Ejiofor in Half of a Yellow Sun, even though his character was criminally underutilized. But the current pinnacle of his fledgling acting career is undoubtedly the latest chapter in the Stars Wars saga, The Force Awakens. If you haven't already seen the trailer, then I suggest you drop everything you're doing and head over to YouTube right away. And in case you still don't understand why you need to see it, here's a clip of John Boyega himself as he tries to absorb the pure awesomeness. Some excellent choices. And a great selection of men to highlight. I've seen at least one movie by each actor. 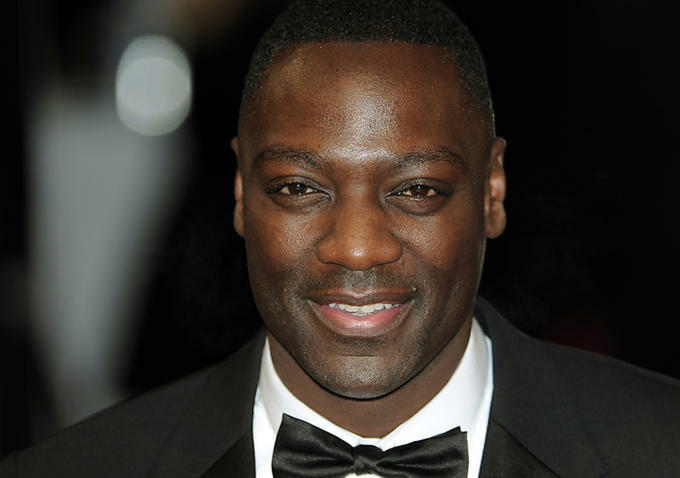 I'm probably most familiar with Akinnuoye-Agbaje and Oyelowo. Handsome, handsome men! Great list, I don't care how short it is! Great list! I remember seeing all these guys except the young one whom I will see in Star Wars. Loved the video, can't wait to see the movie. The four who have been around are all excellent actors. I don't have enough experience with Boyega to say yet, but I did enjoy Attack the Block. Good, clean, cheesy fun. Here's hoping Star Wars leads to more roles for him. Great list of some awesome actors. I think I would be pretty excited to be in Star Wars, too, and I'm looking forward to seeing it. See, the problem I always have is that I remember the role someone played but hardly ever the actor's name, but I wish there were more good looking, non-pale guys in leading roles. Thank you. Really. Thank you. May the force be with you, and your blog, always and in all things. I love this list and have enjoyed watch these actors work. Thank you for highlighting them.